Physician leadership is important to the health care industry as most organizations are challenged by the vast transformation in healthcare. They are seeking ways to attract and retain physicians, impact the community, deliver quality care and thrive. A physician who is in a leadership position brings a unique perspective to health care organizations as they understand how the health system affects patients. Physicians who are on the front lines doing the work, understand the day to day challenges of the practicing physician and their patients. They understand how doctors feel, operate and think, and are better equipped to influence their colleagues to lead and adopt change. A 2011 study of the 100 best hospitals (as ranked by U.S. News & World Report) for cancer, digestive disorders and cardiovascular care showed that hospitals run by physicians scored 25 percent higher on overall quality than those run by professionals with a management background. Hospitals are run mostly by leaders who have either a MBA or degree in hospital administration, and are likely not physicians or have not practiced medicine. While they understand hospital finances and management, they lack the understanding of what it means to practice clinical medicine. They lack the deep understanding of the passion of practicing medicine and the connection to patient outcomes. Instead of training physicians to become leaders, most organizations will promote aspects of clinical care like quality and physician credentialing to physicians and make them department chairs. This leaves the management of the healthcare system disjointed and fractured because there are two sides operating often in silo and each with very different experiences. A leader with book knowledge and no clinical experience will not be able to connect with the importance of the health and mental well-being of physicians. On the other hand, a leader with only clinical knowledge will not be able to understand the importance of metrics and the financial success of an organization. The answer to address the healthcare transformation is to train and recruit physician leaders. But where are they? Among the nearly 6,500 hospitals in the United States, only 235 are run by physicians (2009 ‐ Academic Medicine). The lack of leadership positions is even more prevalent among women who only make up 1/5 of the leadership pool. It’s difficult to fill the need for leadership due to the dwindling number of physicians entering the medical field and the number of physicians exiting medicine due to burnout and retirement. With nearly half of the physicians experiencing burnout, the numbers are only going to continue to decrease. There is also a good number of physicians who would make excellent leaders, but they lack the skills and support they need to excel. After a period of reflection and coaching some physicians realize that they no longer want to deal with the pressures of practicing clinical medicine , however they still want to have a role in health care. Many physicians don’t want to start over with a new career or learn a new industry. They still want to make a change in the health care industry and positively impact their communities. Transitioning to a leadership role can allow them to still use their years of medical school training, the experience in their practices or within a group setting and their involvement in community activities to transition into a leadership role. For physicians who enjoy the administrative side of medicine, leadership can be an excellent transition. The role of a physician leader can range from department chair, to division chief, medical director, chief information officer, chief strategy officer or VP of Quality to name a few. The obstacle to transitioning to leadership is the lack of preparation for a leadership role. 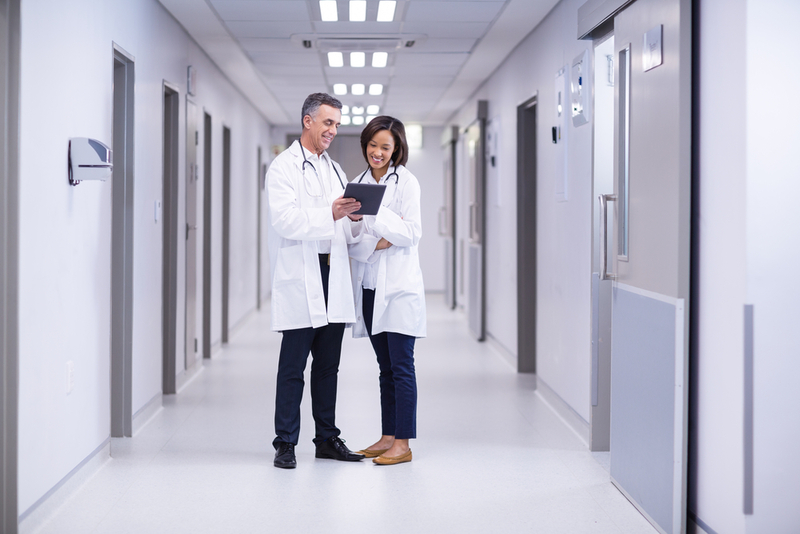 Most physicians are so busy with the day to day busyness of seeing patients and running their practice, that they don’t think about or take time to enhance their leadership skills. Leadership development and training is needed as part of the medical school curriculum. It also needs to be a priority and the responsibility of healthcare organizations to support physician leadership. To succeed in a leadership role, a physician leader will need to have some background in healthcare finance, quality and safety, change management and understand the ins and outs of how an organization behaves. There are also soft skills that are needed to be an effective physician leader like the art of delegation, negotiation and effective communication and working within a team. * Emotional intelligence: The awareness of and ability to manage both your own emotions and the emotions of others. * Self-awareness: A leader who has an understanding of their own strengths and weaknesses can help avoid blind spots and ask for help. * Conflict management: Leaders must be aware of the tools and resources they can use to help resolve conflicts with others in their organization. * Decision-making skills: Physician leaders who can evaluate the obstacles they face are better able to assess and develop options to solve the problem. * Influence: Leaders need to use influence at time in order to get others to move in a different direction and carry out change. This entails understanding how to deal with people who have different ideas, opinions and interests. At a time when we are faced with a high physician burnout rate, healthcare disparities and challenges with delivering efficient patient care, physician leaders can step up and change the direction of the healthcare system one organization at a time. Physician leaders can stop waiting for change and be the change by using the knowledge, tools, resources, team members and healthcare technology that they have available to them.